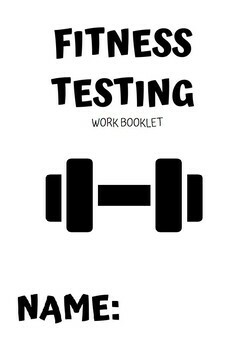 This work-booklet would work well as a practical handout, in a fitness component unit. 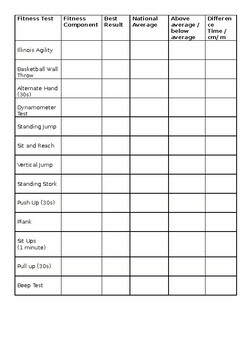 Students would perform the various fitness tests listed in the table and record their best results. 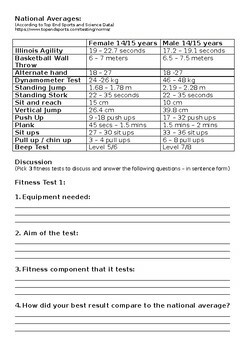 A theory lesson to follow would allow students to finish the table and answer the questions in the booklet. 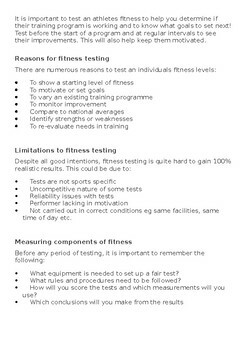 You could exclude the "National Averages" table from the booklet to allow for students to research and find their own comparable data if time permits.